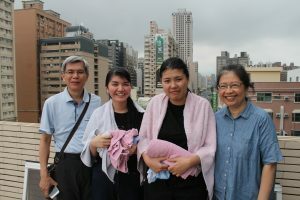 The Hanna family (Matt, Marla, Luke, Rose, and Beth) have served with Baptist Mid-Missions as missionaries to the island nation of Taiwan since 1987. Explore the links at the top of this page to learn about our family, field, and ministry. ...that Kaohsiung Harbor is the third largest container shipping port in the world? ...that Kaohsiung's Tuntex Sky Tower is ranked 15th tallest building in the world? ...that Taiwan is the 2nd most densely populated country in the world after Bangladesh? ...that Taipei 101 was the tallest building in the world when it was completed in 2004 and is currently ranked 2nd tallest? The phrase baptized for the dead in 1Corinthians 15:29 has caused hermeneutical heartburn to generations of interpreters. Even a brief survey of the commentaries on this passage quickly reveals that a wide range of unrelated meanings have been used to explain this term. Some commentators estimate that there may more than fifty different ways of interpreting this statement that have been suggested. My purpose in this article is not to add yet another view to this long list of proposed interpretations. Rather, I would like to offer a simple hermeneutical suggestion that may provide a new approach to the problem and supply a more unified, coherent, and holistic explanation of the overall passage than any that I have found in the sources thus far. Furthermore, this suggestion does not require a radical reevaluation of the historical situation in Corinth nor of Paul’s overall argument in the entire chapter. Its influence is pretty much restricted to this one paragraph. The Context. Chapter 15 of First Corinthians is Paul’s magnificent argument in defense of the resurrection of the dead. In verses 12-19 he asks a series of rhetorical “What if…” questions that examine the theological repercussions of denying the resurrection. In the following paragraph (vv.20-28) he affirms the certainty of the resurrection and describes its order and timing in relation to God’s ultimate purposes. Then in verses 29-34 he reverts to asking additional rhetorical questions, which are aimed at demonstrating the practical and moral effects of denying the resurrection. The Problem. What is the baptism for the dead? The simple answer is that we just don’t know. After centuries of scholarly research into the literary and historical background of first century Corinth and the Mediterranean world, and after close consideration of the Biblical text itself, we still don’t have enough information to understand Paul’s reference to those “who are baptized for the dead” (NKJV). For this reason, most interpreters explicitly deny dogmatic certainty about the meaning of Paul’s statement. All that we can possibly learn or know about this baptism must be deduced from this one brief verse. Nevertheless, this reality has not hindered interpreters from suggesting various ways of understanding its meaning. Taken at face value, the phrase seems to suggest a vicarious baptism for people who have already died (or as the Mormon church calls it, Proxy Baptism). This apparent sense appears as clearly in the Greek as it does in our English translations. The ESV makes it even more explicit, “people… being baptized on behalf of the dead.” This meaning is clearly at odds theologically with Paul’s other writings and even with what he has written in this book. Moreover, Paul here cites this practice—without caveat or editorial comment—in support of his argument for the resurrection. For orthodox scholars, this creates an intolerable contradiction in the Scriptures. 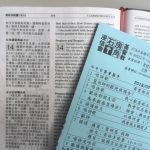 Thus, the crux of the problem is not that we don’t know what this phrase refers to (which all admit), but that it creates an apparent contradiction between the theological implications of this practice (which appears to be presented in a positive—or at least a neutral—manner) and the theology of the whole rest of Scripture. Attempted Solutions. 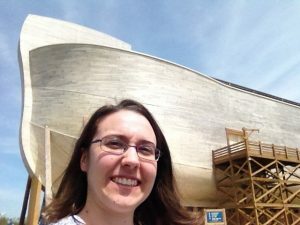 In response to this problem, the great majority of evangelical interpreters have focused on attempts to redefine the phrase itself so that it says something different than what it seems to say. (1) Some attempt to redefine “baptized”; (2) Some try to argue for an alternative definition for the preposition “for” (Grk. huper); and (3) others look for a different reference for “the dead.” While any one of the many variations of these proposed solutions does resolve the apparent contradiction, they are all, unfortunately, rather far-fetched semantically. None of these proposals have come close to achieving a consensus—or even garnered a bare majority—of interpreters who support it. The three methods above have been fleshed out in multiple ways. For instance, some think that people were baptized over the graves of famous believers. Or, some have interpreted it to mean that new believers were baptized to take the place of those who died through martyrdom or in memory of loved ones who died. Others suggest that the dead is a reference to the biblical association of baptism with the believer’s union with Christ in his death to sin. This would be a theologically satisfying solution, except it is hard to see that this is Paul’s meaning from the statement itself. And the list goes on and on. 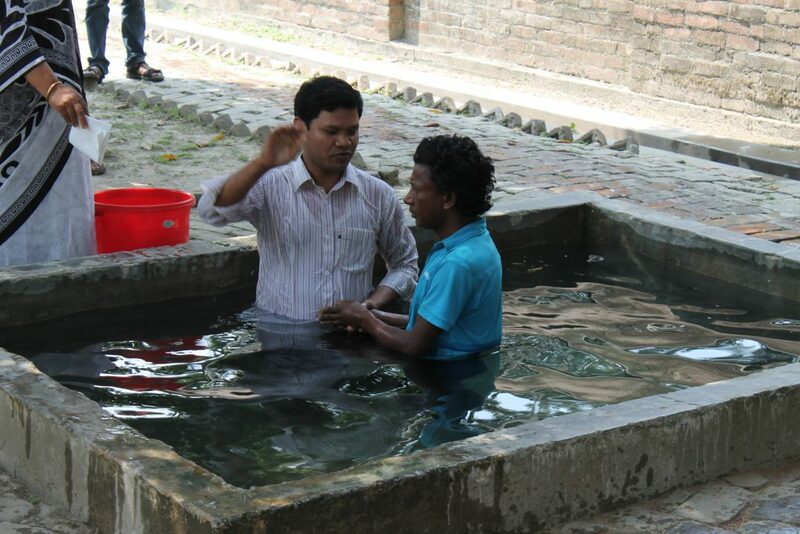 A small number of additional interpreters accept that proxy baptism is the meaning intended by Paul. They have looked for its source in pagan practices, but they have been unable to provide proof that baptism for the dead was practiced anywhere in the Greco-Roman world before the first century. So, the best that they can suggest is that it is analogous to death, funerary, burial, and other rites and ceremonies commonly performed for the dead in the pagan, Greco-Roman cultural milieu. The proposals under both of these approaches suffer from a similar weakness. They each become so fixated on the meaning of baptized for the dead, that they forget to demonstrate any relation between the meaning that they propose and the rest of the passage. How do any of these suggestions contribute to our understanding of Paul’s argument? Many of them, on close inspection, actually seem to undermine the flow of Paul’s argument. A new approach. To put it colloquially, it seems to me that the whole pack of hounds is barking up the wrong tree. Perhaps a step back to reconsider our interpretive procedure may put us back on the right scent. Since we agree that in our current state of knowledge we don’t know the historical reference of this practice, we should not be asking first what this baptism is, we should be asking, Who practiced it? The statement in the text itself suggests this approach: “Otherwise, what will they do who are baptized for the dead?” (v.29). Exegetical clues. The six verses of this paragraph divide up nicely. In support of his theme (the practical and moral effects of denying the resurrection), Paul first cites the example of those who were baptized for the dead in verse 29; in verses 30-32 he cites the example of himself and the other apostles, who willingly face death in hope of the resurrection; and in verses 33-34 he confronts the Corinthian congregation with its moral failures and issues commands to correct them. The subjects of the verbs in this paragraph generally support these divisions by identifying three different groups: (1) “them,” v. 29, (2) “us” (or “I”), vv. 30-32, and (3) “you” (pl. ), vv. 33-34. Some commentators have noted that by means of this verbal distinction, Paul creates a separation between himself and those who practice baptism for the dead on the one hand, and a distinction between the majority of the Corinthian congregation and those who practice this baptism on the other. A proposed solution. So, who are the ones being baptized for the dead? We don’t have to look far in the context to find a plausible identification of this party. In verse 12, Paul has already singled out a group, which is a source of trouble in Corinth. He describes them as “some among you [who] say that there is no resurrection of the dead” (NKJV). This element within the church was actively disseminating its views (“say”) among the congregation. The cultural and philosophical forces behind this denial of the resurrection at Corinth came from the prevailing pagan conception of death and the afterlife in Hellenistic society at large. Corinthian (Greek) society believed in the immortality of the soul, but not in the resurrection of the body. To them the idea of a physical resurrection was at best ridiculously foolish and at worst coarse and obscene. The Gentile Corinthian believers had shared these views before their conversion. Now these pagan ideas were being promoted from within the congregation itself and threatened to subvert their Christian faith and hope. This threat is what impelled Paul’s response in this chapter. To appreciate the solution that I propose, you must consider a parallel interpretive example. We are accustomed to dealing with alleged contradictions that crop up in the synoptic gospel record: In these instances, we acknowledge that we don’t know all of the facts in a particular case; we suggest a possible means (or several possible means) of harmonizing the apparently conflicting statements; and we confess that, after all, our reconstructions may not represent the right or full explanation of the actual historical situation. The solution that I propose for this passage follows a similar pattern. To harmonize the apparent theological contradiction, I assume as a working hypothesis that the ones “who are baptized for the dead” (v.29) are the same people as those who were denying the resurrection of the dead (v.12). This cannot be proved, of course, but it doesn’t have to be. It harmonizes the alleged contradiction, and when we interpret the paragraph using this hypothesis, it perfectly fits the facts we already know about the situation in Corinth; it clarifies why Paul cites baptism for the dead in his argument; and it further advances our understanding of how Paul develops his overall argument for the resurrection of the dead. It fits the facts. Assuming the singular identity of these two groups matches what we already know about both. The same pagan culture and worldview that believed in the immortality of the soul and denied the resurrection, also frequently practiced various rites and ceremonies for the benefit of the dead. Others have demonstrated how widespread these kinds of rites for the dead were in ancient Greek culture. The phrase baptism for the dead itself conveys a syncretistic notion (neither fully pagan, nor truly Christian): baptism represents the “Christian” element; for the dead is the pagan element. It is easily understandable how those within the church who promoted a syncretizing theological position by their denial of the physical resurrection of the dead might also be inclined to modify Christian practices to conform to their pagan understanding of benefiting the dead through ritual procedures. Thus, the same underlying pagan conceptions about death and the afterlife held by both groups and their similar syncretistic tendencies supports our identification of these two parties as the same. It informs our understanding of Paul’s argument. This identification of those “who are baptized for the dead” makes sense of Paul’s citation of their practice in support of his argument (v.29). Paul points out that those denying the resurrection and practicing proxy baptism are displaying their own inconsistency—an inconsistency demonstrated generally in pagan ideas about death and the afterlife. On the one hand, they deny the resurrection; on the other hand, their practice of proxy baptism seems to support Paul’s—and the gospel’s—contention for the resurrection of the dead. This internal inconsistency and illogic is universally present in all pagan belief systems and worldviews. 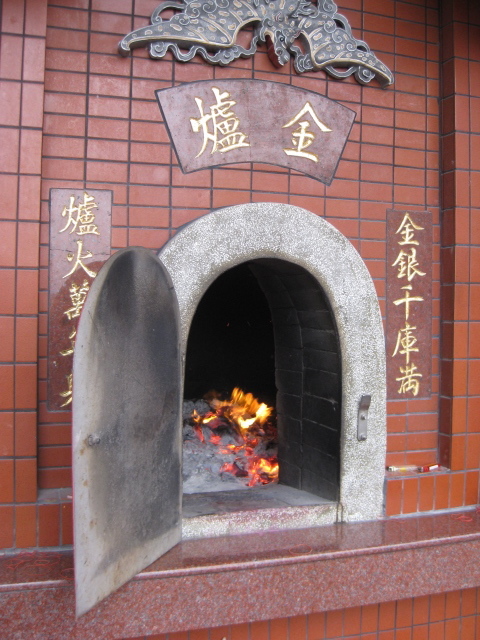 As an illustration of this irrationality of pagan belief, traditional culture in Taiwan (where I am currently ministering) practices the burning of “hell money” for the departed ancestors. 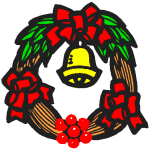 Taiwanese go to the temple to buy this “money,” which is yellow paper with gold foil printed on it; then they burn it, either in furnaces at the temple or in burn pots in front of the doorway of their homes. They believe that this provides the ancestors with “money” to spend in the afterlife. This custom is inconsistent because they are not burning real money; it is illogical because, even if they burned real money, it is difficult to comprehend how this would benefit their dead ancestors in the spirit world. 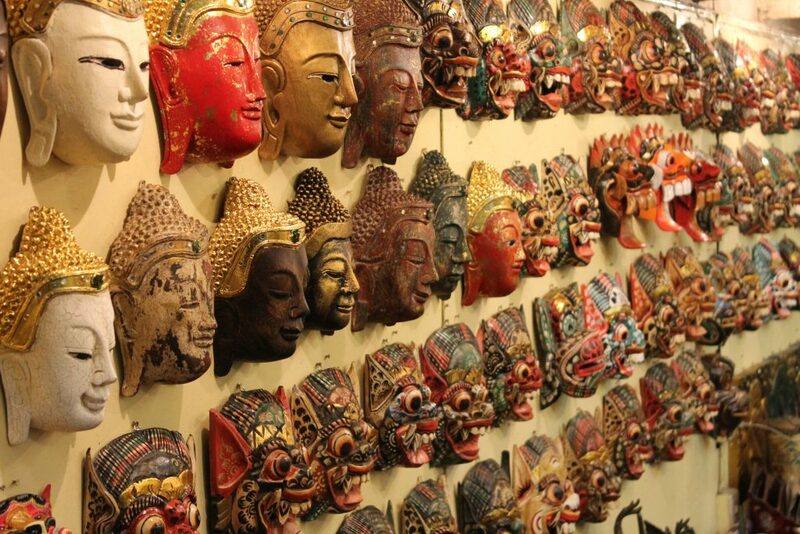 Furthermore, most Taiwanese believe in reincarnation, due to the influence of Buddhism. If their departed dead have been reincarnated to another life on earth, then who is in the spirit world to receive their offerings? In verses 30-32 Paul contrasts their inconsistency with his own practice and that of the other apostles, which is entirely consistent. Paul faces the possibility of death on a daily basis in his service to Christ. Furthermore, His apostolic labor and sufferings have resulted in the conversion of the Corinthians themselves. Paul willingly accepts these risks, dangers, and sufferings of apostolic ministry, because of his hope of the resurrection. Therefore, Paul’s actions, unlike those who deny the resurrection, are entirely consistent. Finally, in verses 33-34, Paul points out to the Corinthians the potential and actual corrupting effects of permitting these resurrection deniers to move freely within the fellowship of their congregation. The familiar moral proverb (v.33) that he quotes is an implicit command for them to separate from these people (cp. his command in 5:6-13). They must awake from their moral stupor and stop sinning. Paul attributes the moral failures and sins in the congregation in part to their toleration of those who deny the resurrection. Those whom Paul calls “ignorant of God” are these same ones who deny the resurrection (cp. Matt. 22:23-33) and practice proxy baptism. It is a shameful thing that the Corinthians have allowed these people to freely peddle their false doctrine. It harmonizes the alleged contradiction. By drawing such a stark contrast between his own practice and the practice of those who deny the resurrection, Paul is clearly rejecting the practice of proxy baptism. Paul is not remaining neutral when he cites their example. All of Paul’s arguments against the theological position that they represent (denial of the resurrection) can be applied equally to the unbiblical baptism which they practiced (proxy baptism). Finally, the call to separation in verses 33-34 shows that Paul does not view either their error or their practice as benign. He demands that the Corinthians separate themselves from fellowship with those in their midst who may call themselves Christians but deny the resurrection and thereby demonstrate their ignorance of God. His clear rejection of these people extends equally to both their doctrine and their practice. Conclusion. The approach to this passage that I have described above is aimed at providing a satisfying harmonization of the alleged theological contradiction in 1Corinthians 15:29. 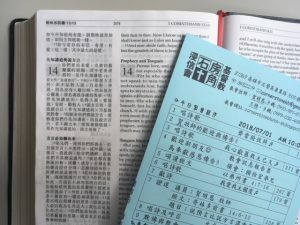 This harmonization assumes that those “baptized for the dead” (v.29) are the same people as those already identified within the Corinthian congregation, who denied the resurrection of the dead (v.12). This is a reasonable assumption that contributes to our understanding of the passage. Moreover, it conforms to a natural reading of the text itself and to the conditions that were present at Corinth. For those of us today ministering in a thoroughly pagan environment, it provides a direct application to the need for believers and churches to separate themselves from pagan rituals for the dead, which are ubiquitous in pagan cultures. In Western cultures these pagan concepts about death and the afterlife are being revived in atheistic and materialistic belief systems at home and through the influence of Eastern religions imported from abroad. Baptism for the dead finds a direct parallel in the teaching and practice of the Mormon Church. This means that even in formerly “Christian” nations, we must be prepared to recognize and combat the influence of these pagan views within our churches. We have much to report! 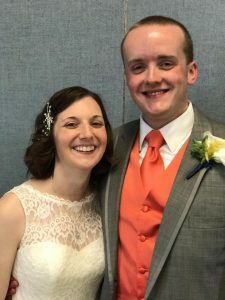 Please take the time to read our current prayer letter so that you can pray more effectively for our family and ministry. 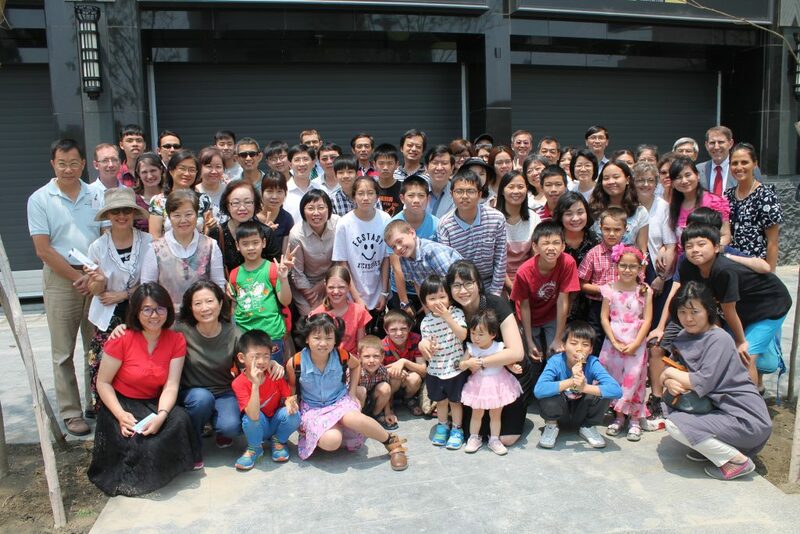 During the months of July, August, September, and October, we have had a very heavy schedule of travel and ministry away from Taiwan as well as at Cornerstone Baptist Church, Kaohsiung Taiwan. Elizabeth is living in Columbia, SC while receiving training in medical laboratory technology. She continues to aim toward a future career in medical missions. Here is a link to a recent update letter that she sent out. I think you will be blessed when you read it and we encourage you to do so! As of December 28, Matt and Marla have returned to Taiwan. Please see our most recent prayer letter for a report about our recent travels and ministry (posted on the drop-down menu at “Staying in Touch” >> “Our Prayer Letters”). Pastor Hanna’s Annual Bible Reading Calendar for 2018 has been posted on the Annual Bible Reading page. 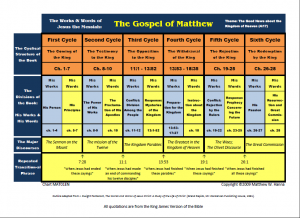 Additionally, Pastor Hanna’s chart on the Gospel of Matthew is now available for viewing, printing, or download.